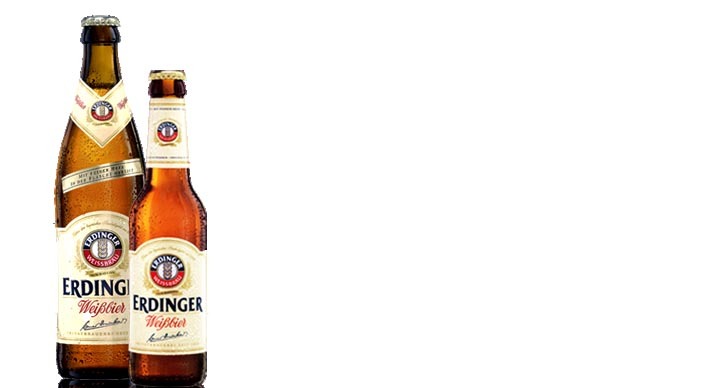 Erdinger Weissbier ‘with fine yeast’ is brewed according to a traditional recipe and in strict accordance with the Bavarian Purity Law of 1516. Only the finest ingredients are used; water, hops, yeast and malt. Even today, the beer is still bottle-fermented in the traditional way: it takes three to four weeks for Erdinger Weissbier ‘with fine yeast’ to mature. Incomparable flavor The classic among wheat beers!